The Climate and Fire Map Room includes forecast and analysis tools for two regions of the world, Indonesia and the Western Amazon. The Western Amazon Fire Forecast tool includes maps of fire season anomaly hindcasts, forecasts, and historical observations for the Western Amazon. The Indonesia Fire Map Room includes several tools that can support a robust fire early warning system in Indonesia. The Indonesia Rainfall Analysis Tool provides maps and time series of recent rainfall in Indonesia and a fire risk map for Kapuas district in Central Kalimantan. The Predictive Tool for Fire Activity offers experimental forecasts of the likelihood of fire activity 1-2 months in advance in Kalimantan, Indonesia. The Earth Institute at Columbia University is leading a USAID-funded project to collaborate with Institut Pertanian Bogor (IPB), a leading Indonesian university, to build science and technology capacity for climate risk management in agriculture and peatland forest fire management. The Center on Globalization and Sustainable Development and International Research Institute for Climate and Society (IRI) of the Earth Institute are partnering with the Center for Climate Risk and Opportunity Management for Southeast Asia and Pacific at IPB on this collaborative research. Please visit the CGSD project website for more information on these exciting activities. One key component of this project is the development of an early warning system for fire risk in Central Kalimantan, which hosts the large portion of Indonesia's peatlands. Through this project and previous research on the links between climate anomalies, land use/land cover indicators, and fire hotspots in Central Kalimantan, our researchers have uncovered valuable relationships that can be used to offer predictions for areas of high fire risk. The close correlation between satellite rainfall data, remotely-sensed land use data and fire hotspot activity (particularly during the dry season from June to October) means a tool based on rainfall and land use data can help indicate whether an upcoming fire season will be more or less intense than usual. For further information about these research results, please contact Pietro Ceccato (pceccato@iri.columbia.edu). The work of this project builds upon previous IRI collaboration with IPB and CARE Indonesia on activities that were part of the Central Kalimantan Peatlands Project, a large consortium effort funded by DGIS of the government of the Netherlands and managed by Wetlands International, to support improved livelihoods and peatland restoration. This tool allows users to analyze recent rainfall in Indonesia via maps and location-specific time series, and to view a map of fire risk in Kapuas district. These are experimental forecasts of the likelihood of high or low fire activity in the province of Central Kalimantan, Indonesia. By monitoring the NINO 4 index of the sea surface temperature from April to September, it is possible to estimate the fire activity one to two months in advance. These maps include deterministic seasonal precipitation forecasts for the Kapuas district and surrounding region, a map of hindcast correlation skill, and a series of associated analyses for a user-selected grid box. These graphs include July-September fire season anomaly hindcasts and forecasts in the Western Amazon. 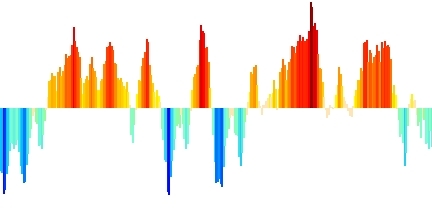 The incidence is on a standardized scale and is based on the north tropical Atlantic (NTA) sea surface temperature (SST) seasonal forecast issued in April, May and June. Positive values indicate an expected active fire season and negative values stand for a mild fire season.